This month, the DC, with strong influence from Daniel Hawkins, decided to help kickstart the world’s first ever public space telescope: ARKYD. 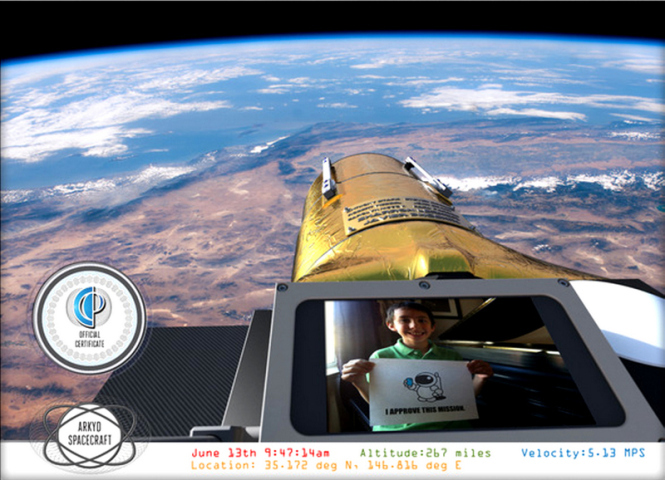 The $25 donation also gets us a wicked Space Selfie – Estimated Delivery: August 2015. Read more about the crowdfunding project here. ← Act #13 Cupcake Stranger!